While you can rely on your chain drive garage door opener in Mississauga, you still need to know where to turn to should anything goes wrong. Choose us. With a vast experience in electric garage doors and thus all kinds of openers, our company can help with any service request. We solve problems quickly and restore damage with all sorts of repairs. Did your chain drive opener fail to get activated? Has it become noisier than usually? Did it break down? Call us. At Garage Door Repair Mississauga, we specialize in chain drive openers and their service and assist quickly. We are at your service for same day chain drive garage door opener repair in Mississauga, Ontario. Is the door reversing while the lights are flashing? Is the overhead door not coming down? Contact us and a pro will resolve your concerns in no time. They come out well-equipped and are skilled to troubleshoot chain opener problems with accuracy. Trained to service this type of carriage openers, the techs can align the sensors, adjust the travel limits, replace broken parts, and do any repair needed. Designed to perform even in harsh conditions, chain drive openers last long. But with our chain drive garage door opener maintenance service, your unit will continue to serve you for a longer time. Although our company is available for same day repairs, we will send a tech for routine inspection. That’s vital too. A tech can check the reverse system, lubricate the chain, adjust the chain, and make sure the motor runs as it should. Determined to ensure the safety of our customers, we send you pros that have the expertise to provide high-quality chain drive garage door opener service. If you want to replace the chain drive opener, call us. If you are seeking an expert in chain drive garage door opener installation, get in touch with our team. 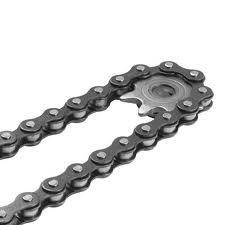 Our company won’t only help fast but provide you with the brand you want and any chain motor. From LiftMaster to Genie and Craftsman chain drive openers, we are specialists in them all and will be happy to assist. Give us a call if you like to fix or replace your Mississauga chain drive garage door opener.